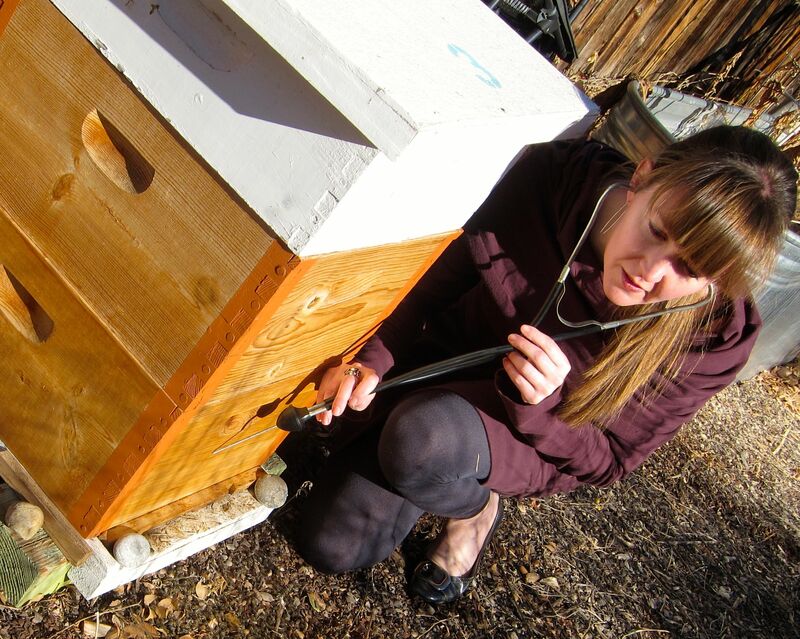 ← Deep Freeze: Will my bees survive? Great advice. My dad keeps bees now in Alabama. I’ll share this info with him. Regardless, there was good fun to be had in trying! Thank you so very much for sharing tools from your toolbox with me. It works – but you need to tune in! I bought a stethoscope from ebay remarkably cheaply. First few times I just wasn’t sure what I was hearing but after a while you learn to ‘calibrate’ what you are hearing. You may see some other evidence – for example it sounded different in one corner and I wasn’t 100% sure it was the bees but then I saw some cappings below the same spot. Even then, I was not convinced. You can also listen to an empty hive, if you have one, to help tune in your ear. There are other signs of course. A landing board often means that the dead bees are pushed just outside and land on the board so you can assess level of dead bees which should be just a few a week I think The downside of a landing board on a British national hive at least, is that if it snows, that board can block the entrance. Lastly, especially coming out of winter, if there is a warmer day wander down to the hive near to mid day and just wait to see some odd bees flying. I use the stehoscope rarely know because I have put other things in place and recognise more subtle sounds. I like the glass quilt for example, because if you have covered the porter bee escape with an upturned tub of fondant it is possible to quickly lift the lid and if nothing else see whether the fondant needs replacing. Dead bees don’t eat fondant! Just put your ear to the hive and give the hive a rap with your knuckles. You should easily hear the buzz of a healthy cluster.